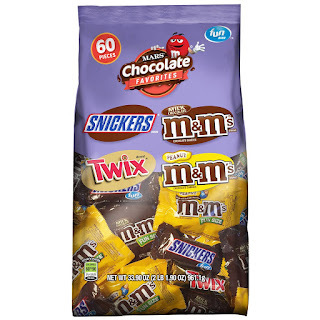 Head over to Amazon and score this Snickers, MandM'S and Twix Fun Size Candy Variety Mix 33.9-oz Bag for just $5.68 shipped when you clip the 15% off coupon and opt to Subscribe and Save. Please note, that some accounts may be required to make a minimum order of two. This variety mix contains fun-sized MandM's, Peanut MandM's, TWIX Candy Bars and Snickers Chocolate Bars. These bars are ideal for Easter baskets, birthday party favors, the office and more!